While we're all weak and sinful, and while we do have Jesus to atone for our sins and to intercede before the Father on our behalf, there are still a couple of big problems with our sin. This verse reminds us of one of them: we don't want our sin to be an embarrassment to God or his people. Let's avoid sin because that is what God wants us to do. Let's avoid sin so it won't reflect badly on God's people. 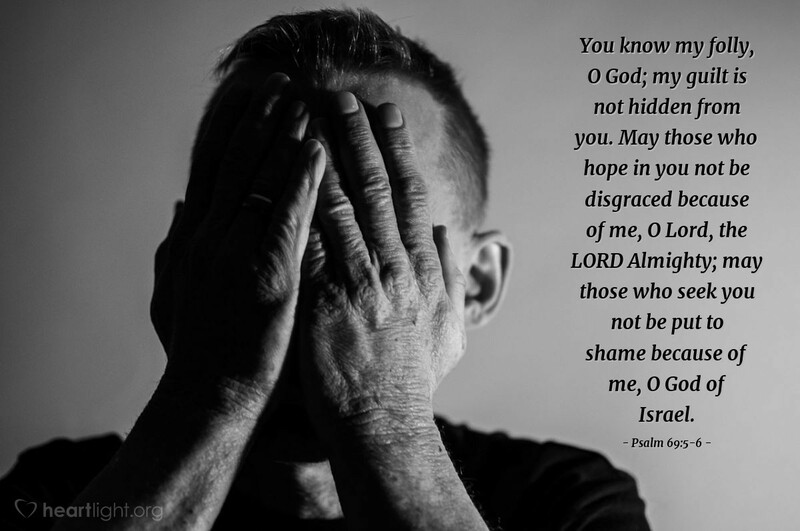 But let's also pray for ourselves and our brothers and sisters in Christ that God will not allow our failures to bring shame on his Church, his Christ, and his cause. Forgive me, loving Shepherd, for my sins. I am sorry for rebelling against your grace. I am fully confident that you have forgiven and cleansed me of my sins through Jesus' sacrifice. But please, dear God, use your divine power to prevent them from bringing shame or embarrassment on you and your people. In Jesus' mighty name I pray. Amen.